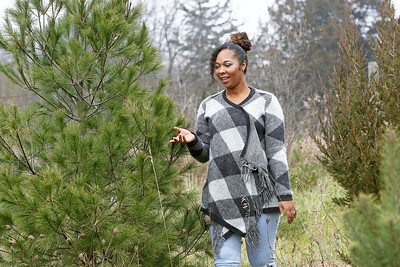 Candace H. Johnson-For Shaw Media Braidee Shorman, of Johnsburg checks out a real Christmas tree at the Sullivan Family Tree Farm in Lake Villa. 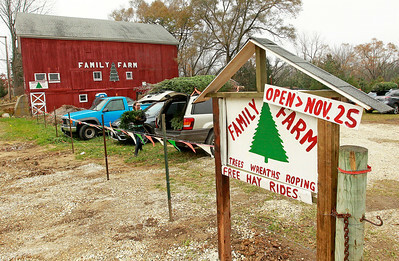 Candace H. Johnson-For Shaw Media JoAnn and Ryan Halvorsen, of Mundelein and their children, Olli, 2, and Charlie, 7, take a hay ride driven by Ed Sullivan, Sr.to pick out a Christmas tree at the Sullivan Family Tree Farm in Lake Villa. 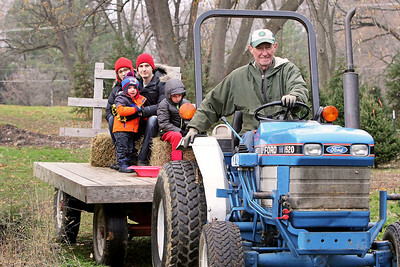 Candace H. Johnson-For Shaw Media The Sullivan Family Tree Farm in Lake Villa. 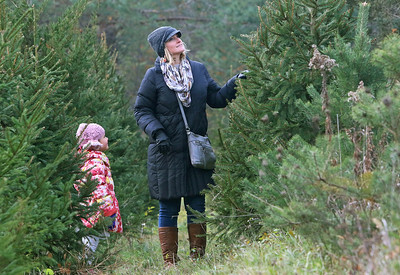 Candace H. Johnson-For Shaw Media Livia Galvao, 5, of Evanston and her mother, Brianna, look at potential Christmas trees at the Sullivan Family Tree Farm in Lake Villa. 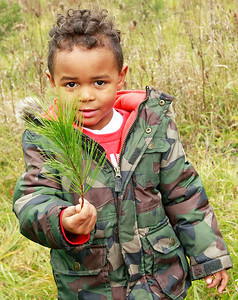 Candace H. Johnson-For Shaw Media Josiah Bradin, 3, of Waukegan shows off a branch with pine needles as his family searches for a Christmas tree at the Sullivan Family Tree Farm in Lake Villa. 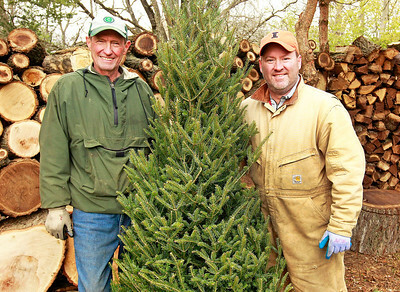 Candace H. Johnson-For Shaw Media Ed Sullivan, Sr. and his son, Ed Sullivan, Jr., at the Sullivan Family Tree Farm in Lake Villa. 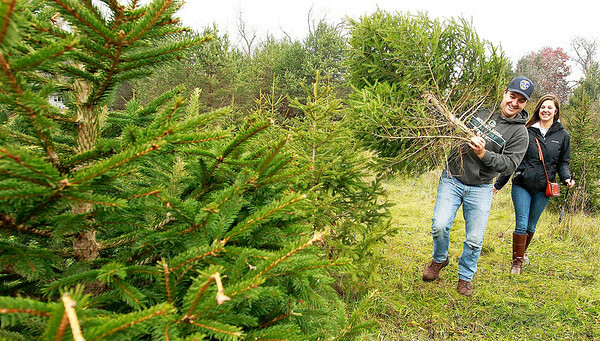 Candace H. Johnson-For Shaw Media John Gramm, of Long Grove carries a freshly cut Christmas tree out to a customer's car at the Sullivan Family Tree Farm in Lake Villa. 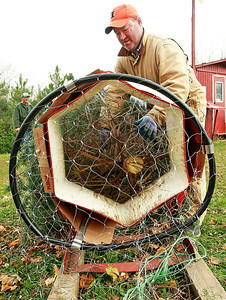 Candace H. Johnson-For Shaw Media Ed Sullivan, Jr. uses a baler to net a Christmas tree at the Sullivan Family Tree Farm in Lake Villa. 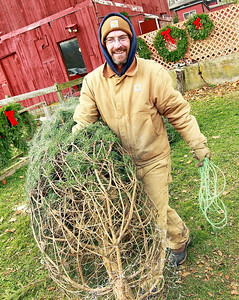 Candace H. Johnson-For Shaw Media Mike Gallagher and Kelly Stoyas, both of Antioch, head out carrying their Christmas tree after cutting it down at the Sullivan Family Tree Farm in Lake Villa. 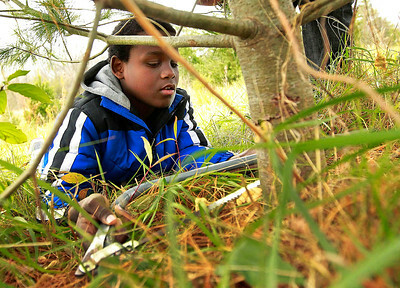 Candace H. Johnson-For Shaw Media Jamil Myrick, 11, of Zion works on cutting down his family's Christmas tree at the Sullivan Family Tree Farm in Lake Villa. 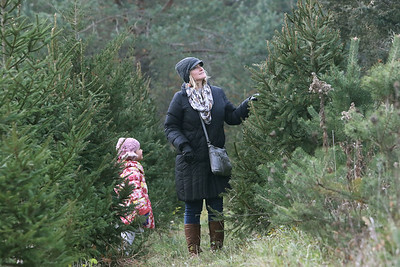 Candace H. Johnson-For Shaw Media Adriano Galvao, of Evanston cuts down his family's Christmas tree as his daughter, Livia, 5, watches him on a sled at the Sullivan Family Tree Farm in Lake Villa.